The axolotl ( Ambystoma mexicanum ) is a large salamander native to Lake Xochimilco, Mexico. It belongs to the group of salamanders known as mole salamanders. Other members of this group include the axolotl's close relative, the tiger salamander ( Ambystoma tigrinum ), and the spotted salamander ( Ambystoma maculatum ). 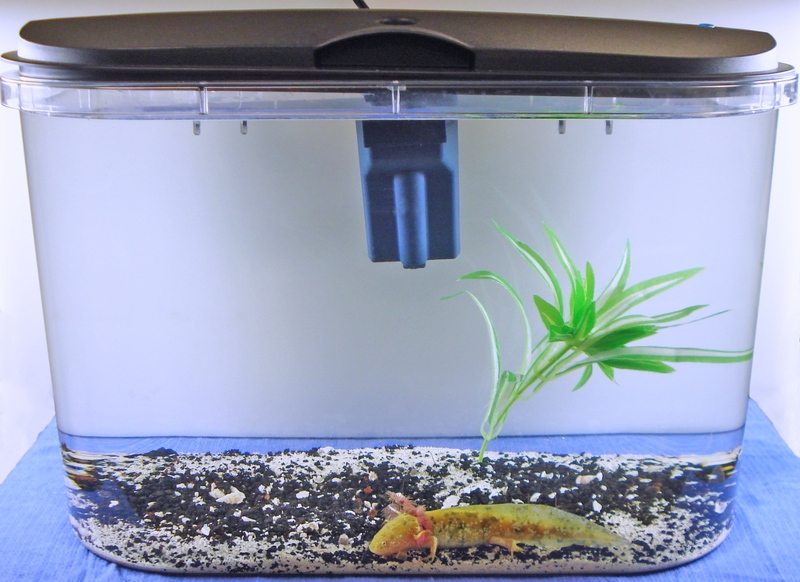 Axolotls are one of the best animals to bring into classrooms, learning centers, and museums. Their unusual traits and charming behavior capture the attention of students of all ages, making them perfect for teaching science.